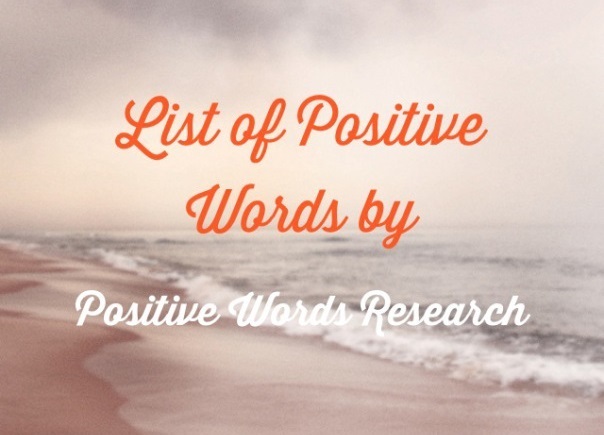 Find in this list of positive words currently above 1,400 good words and positive adjectives. This positive vocabulary is updated constantly. The last entries of inspiring words are bold and underlined. The updates are based on our research and also based on the contribution of wonderful people all around the world that are sharing more nice words. Thank you all so much for contributing. LOVE! ❤ Enjoy above 1400 positive words to brighten your day. This positive words list will answers to your searches for: positive words in English, positive words of encouragement, inspirational words, positive phrases, positive vocabulary, powerful words, inspiring words, positive feelings, positive emotions, positive thinking, positive psychology, positive sayings, positive adjectives that start with every letter of the alphabet, positive words to describe someone, positive words that start with A to Z, love words, beautiful words, power words, positive language, creative affirmations, positive thesaurus, positive adjectives. Such an useful list of positive words, thank you so much for all these words, it feels so positive to see all of them together like this. My favorite positive word is: appreciation.